Midnyte Reader: Guest Post by Jason Sizemore - Irredeemable and The Bible. 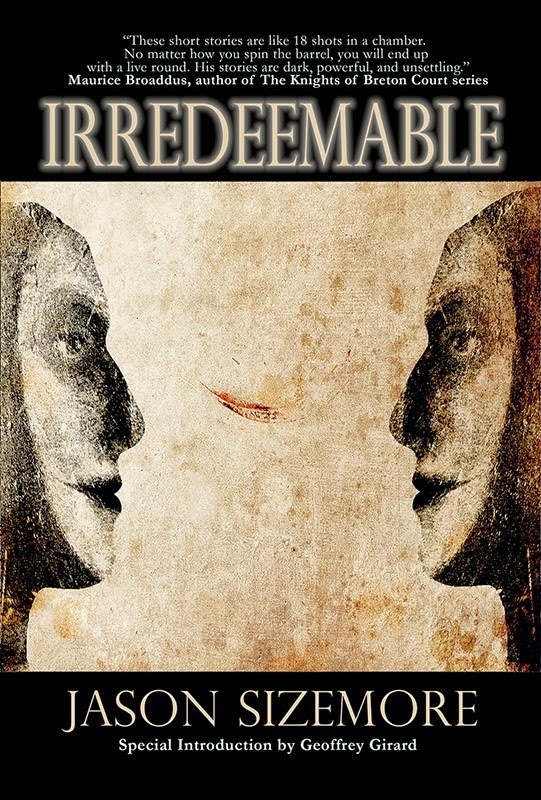 Guest Post by Jason Sizemore - Irredeemable and The Bible. There’s a leading statement many horror writers like to use when confronted with the typical dismay and looks of distaste people put on offer when you tell them you’re a horror writer. Whether the Bible is straight non-fiction, creative non-fiction, or straight up horror fiction is a debate for the religious types to take up. What I can tell you is that the Bible scared me senseless during the formative years of my youth. I grew up in a small Appalachian coal mining community. Like most mining towns, its residents held to strong Christian beliefs. Most people attended church, often 4 times a week (Sunday morning and afternoon, Wednesday night, and Friday night). My grandmother was a diehard believer and if the preacher was delivering a sermon you could count on her being there to listen. I was close to my grandmother, and therefore I attended nearly all the same services. The church we attended was of the Southern Baptist denomination and was moderate in its…enthusiasm (meaning no snakes or drinking of poison), but the preacher was the type to get worked up into a yelling, Bible-thumping display of passion for the Lord. His favorite topics from the Bible? Any and all passages from the Book of Revelations. The story of Christ’s torture and crucifixion. The burning bush appearing to Moses. The drowning of the Egyptians after the parting of the Red Sea. The preacher wanted you to be saved in the eyes of the Lord. It didn’t matter if you honestly had faith, or if you pleaded for salvation out of fear of burning in a lake of fire for 1000 years, just as long as you accepted the Lord as your one and only savior. Which I did. I got baptized, too. Growing up, I would seek out the sky whenever a coal truck roared by on the highway, for I was certain it was the trumpet call of the angel Gabriel. The Rapture was an especially scary concept for a child my age (pre-teen). The violence of the adults in the Bible scared me. They hung Jesus Christ on a wooden cross, what would they do to me. Nowadays, all that fear seems silly. But I was a kid with a big imagination, and when I asked my grandmother and parents if all that stuff really happened (or could happen) they answered in the affirmative. This childhood spent in church informs so much of my fiction. It fuels my imagination. It puts a warming flame to my fears, and I like to think this helps make my horror fiction just a little bit scarier, a little bit edgier. One of my first professional sales was of the story “Caspar.” (As an aside, you can read “Caspar” here for free: http://jason-sizemore.com/2014/05/06/free-fiction-caspar-by-jason-sizemore-from-the-collection-irredeemable/). The story is about a bad, bad man and the avenging angel he meets on Christmas day. The angel describes the story of the birth of Jesus and the three wise men before skewering the bad, bad man with a large silver cross. The creative genesis of “Caspar” derives from a desire to build a metaphor about the gentle, loving parts of the Bible with the harsh, horrific violence that also occurs in the Bible. Most of the short fiction in Irredeemable functions as therapy for me, a way to filter the trauma of the church to the page. Am I healed? Not by a long shot! I have plenty of, shall we say, demons left to purge into my fiction before I’m done! 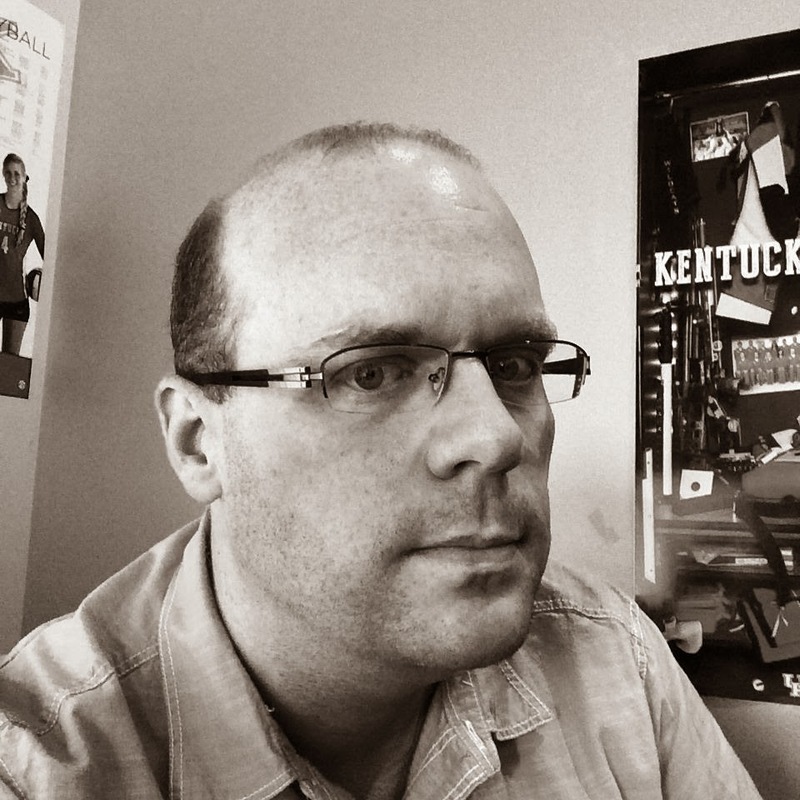 Jason Sizemore is a writer and editor who lives in Lexington, KY. He owns Apex Publications, an SF, fantasy, and horror small press, and has been nominated for the Hugo Award three times for his editing work on Apex Magazine. Stay current with his latest news and ramblings via his website http://jason-sizemore.com/ and his Twitter feed handle @apexjason. I mean, in a few hundred years, looking back on the history of present day science, factoring in the history of eugenics experiments, nuclear weapons, gene manipulation, psychiatric medicine, etcetera I expect that will all read very much like horror as well. I guess, to a degree, history IS horror.